In today’s busy world with many demands at job and home, it’s difficult to find time to make recipes from scratch. But not to worry. Many of Captain Ken’s recipes are made from scratch, including our famous oven-baked beans. 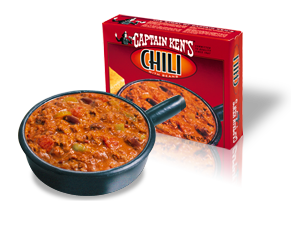 Same with Captain Ken’s all-natural ingredient Beef Chili and all-natural ingredient Chicken Chili. After tasting, you will think our products were homemade. All Captain Ken’s products are fully cooked and flash frozen to lock-in freshness and nutritional value. They offer quality, convenience, and value. Just heat and serve. Our products are ideal for today’s busy life-style; comfort food at its best with nutritional qualities to match. 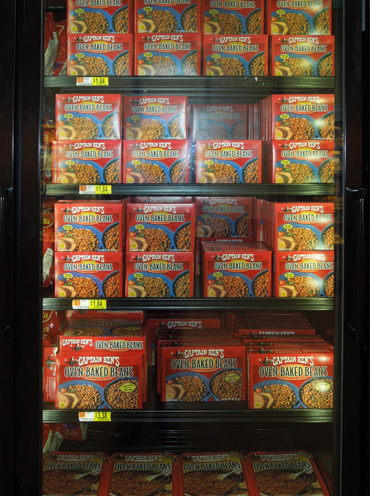 Besides baked beans and chili, other Captain Ken’s retail products include Au Gratin Potatoes, BBQ Baked Beans with Smoked Pulled Pork, and more. See Product List. Captain Ken’s is carried in most of these following stores. Not all stores carry all of our products. Our products can be found in the frozen food section of many grocery stores and supermarkets. If you can’t find us in your local grocery store, ask your grocer to supply Captain Ken’s products. Also, feel free to give us a call. We can help!